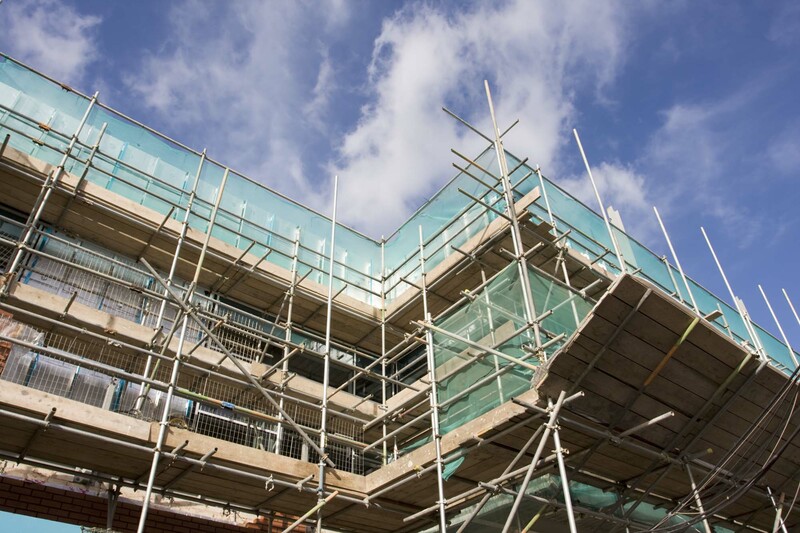 Admiral Scaffolding works with a variety of market sectors. Commercial & Industrial - From the largest factories and National Head Quarter buildings to the smallest of construction sites, Admiral has the knowledge and experience to ensure the needs of this sector are fully understood and are delivered on time and to budget. Education - Admiral works with many Main Contractors delivering innovative learning centres for the future generations of England. We are experienced in working out of hours to suit the needs of our clients as well as working around the busy bustle of school life. Our H&S team ensure the safety of the pupils, teachers, the general public and other trades at all times. Healthcare - The Healthcare sector is one that requires a sensitive, well executed service and this is something that we take pride in supplying. All projects receive excellent customer service but we are aware that certain projects have different requirements. Leisure & Hotels - The Group have a lot of experience working in this sector. It combines the experience of our excellent customer service team and our hands on management so the result is a cost and time effective service. Retail - Whether it be working in the high intensity of London's City Centre or working in a remote little village throughout the night, Admiral work to the client's need delivering a service that ensures safety at all times. Civil Engineering & Infrastructure - The Admiral operatives have training in PTS and Confined Spaces allowing us to work on power, rail, water and bridging projects. Each project in this sector is bespoke but with our design team there is nothing too bespoke that is beyond our capability. The Structural Gallery - Admiral has opened up a new division whereby we offer our services to the Events, Media, Advertising and Visual Merchandising Sectors. Check out The Structural Gallery page to see more.